Published in Alternative Spirituality and Religion Review (Volume 4, Issue 1, pp. 70-91) in June 2013. During the twentieth century, the power of traditional religion (that is, Christianity) in the West has gradually declined. In the wake of the Enlightenment, personal experience rather than institutional dogma began to dictate individual religiosity, or lack thereof. Pluralism and religious diversity have resulted in a spiritual marketplace that diminishes the claims to authority of particular religions. Further, the emergence of the New Atheists demonstrates that in the twenty-first century West, criticising, attacking, and mocking religion has become acceptable, perhaps even fashionable. In recent decades however, traditional religion has attempted to re-establish itself. One intriguing aspect of this is an intellectual battle being waged by a more scientific and philosophically sophisticated group of believers, herein dubbed the New Theologians. 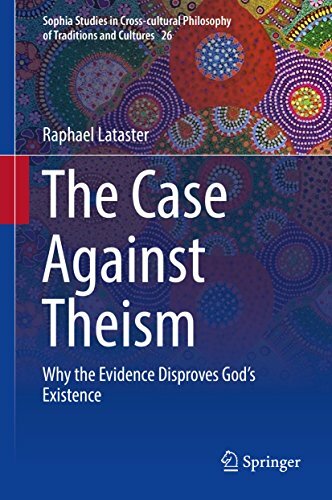 Largely influenced by the work of esteemed Christian philosopher, Alvin Plantinga, these knowledgeable adherents attempt to convince scholarship, and the general public, that belief in God is rational; and even that God’s existence can be proven. This article traces the origins and considers the arguments of the New Theologians, and argues that the very existence of the New Theologians points to the dominance of the rational model, further confirming the decline of traditional religion in the West. This article also touches on the New Atheists, briefly considering such issues as what makes a non-believer a ‘New Atheist’, and whether these vocal naturalists have been misrepresented. The interactions of the New Theologians and New Atheists with mainstream Western society are examined, and it is found that the possible intellectual debate that the prominence of the two groups might engender does not really exist. The New Theologians offer antique and traditional arguments for the existence of God, the New Atheists tend not to engage directly and competently with the arguments, and both sides make ample use of rhetoric and appeal to their audience’s emotions and lack of knowledge about the subject. It is further found that New Theologians and New Atheists may have a significant impact on perceptions of scholarship about religion (and irreligion) in their communities, as they attract larger audiences than their more scholarly counterparts in the academy.